I can't believe it is already October and we are nearing the year end once again! It only means one thing - time to start fresh with a new planner. 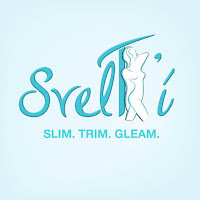 For the bellas out there, I have an awesome news for you! 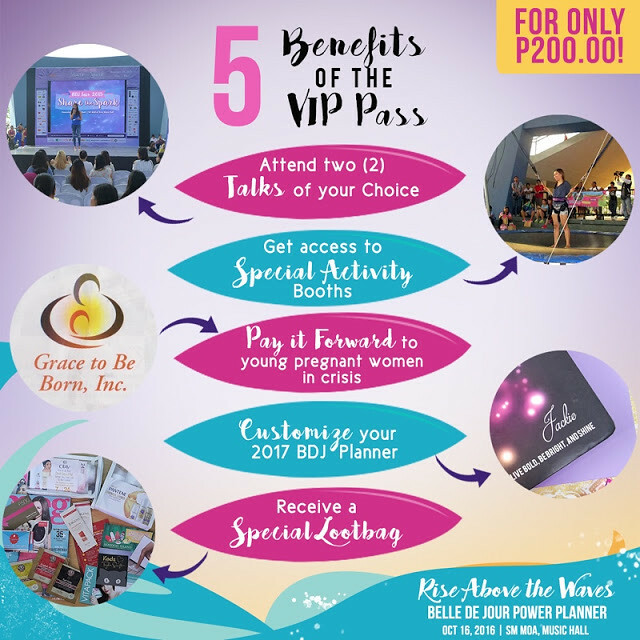 I am giving away 5 VIP Passes to the BDJ Fair + 1 Belle De Jour 2017 Planner! BDJ is so sweet to host this giveaway. I remember years ago, I even bought another BDJ planner to give away to one reader. 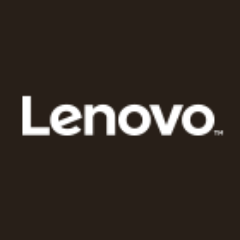 Now, it is so awesome to have BDJ supporting this blog (thank you!!!). 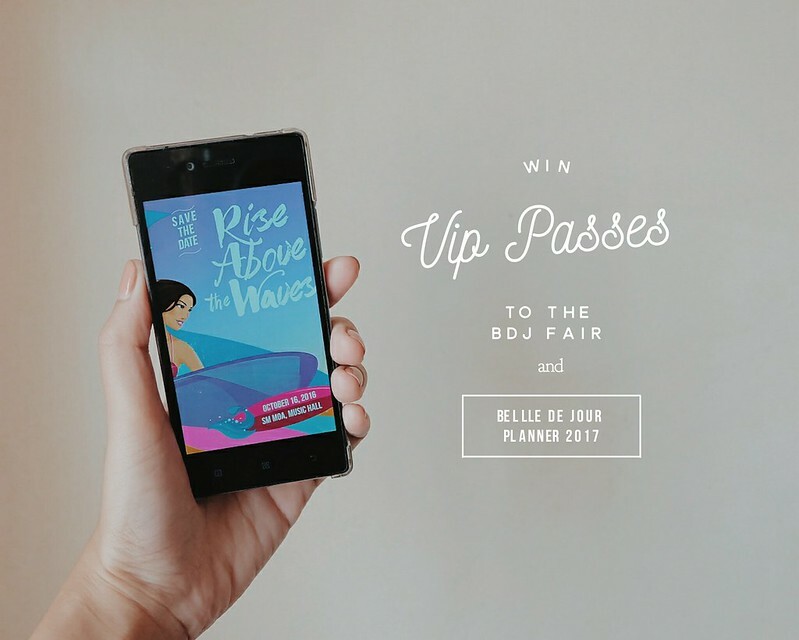 So yes, I am giving away 1 Belle De Jour 2017 Planner (which the reader can claim at the BDJ Fair) + 5 VIP Access to the BDJ Fair 2016! 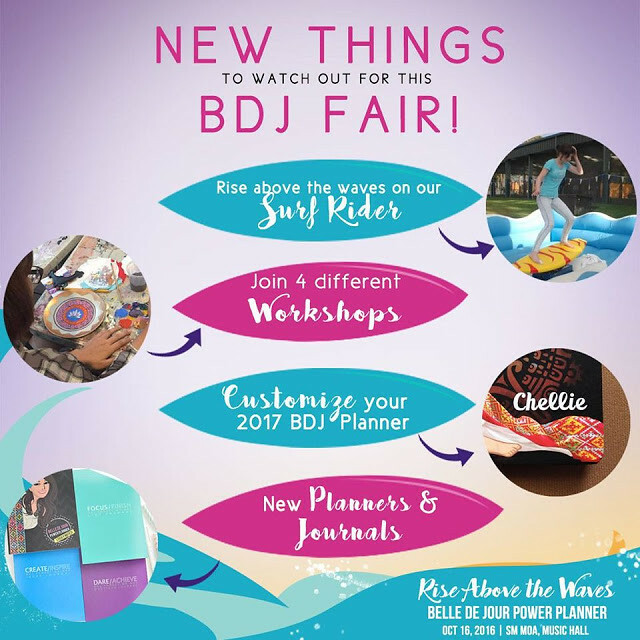 This year's BDJ Fair is going to be BIGGER. WHAT HAPPENS IN THE BDJ FAIR? BDJ will unveil the much-awaited next edition of BDJ Power Planners, NAVI, Everything is Possible, Focus Journal, and other BDJ paper products. 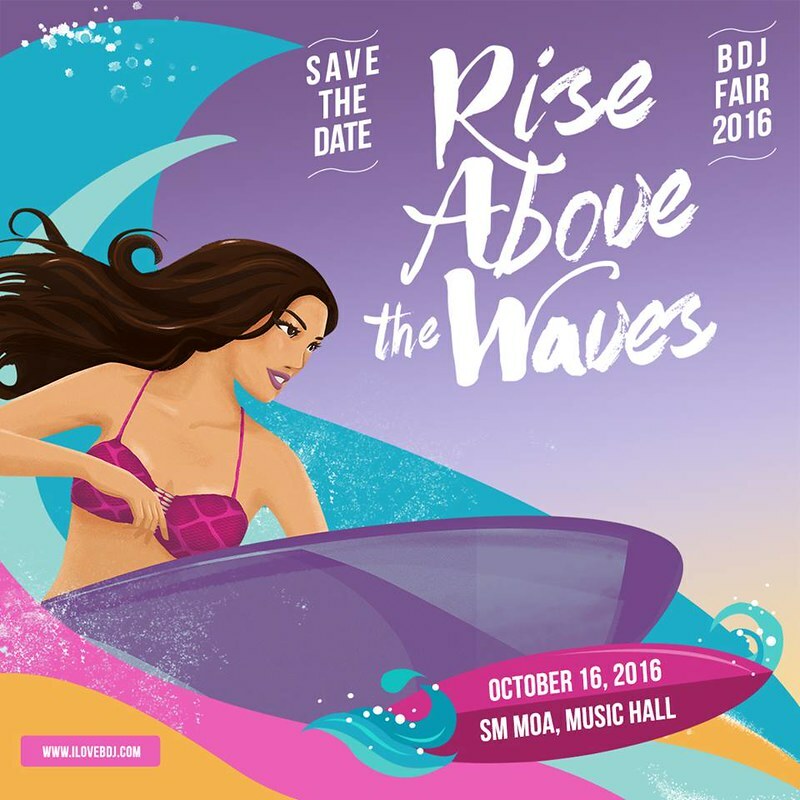 It is also annual BDJ event where bellas raise funds for the different advocacies. This year's beneficiary are young pregnant women who are in crisis. 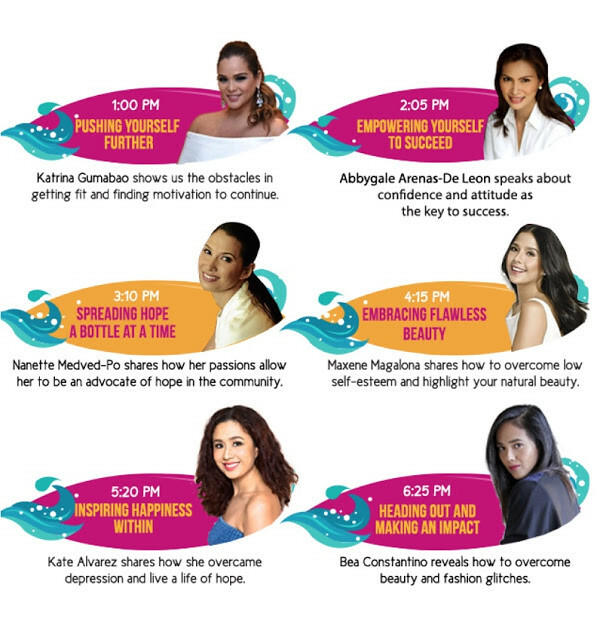 Our Bellas come together to learn, experience, and have fun through our various talks, booths, activities, and workshops. 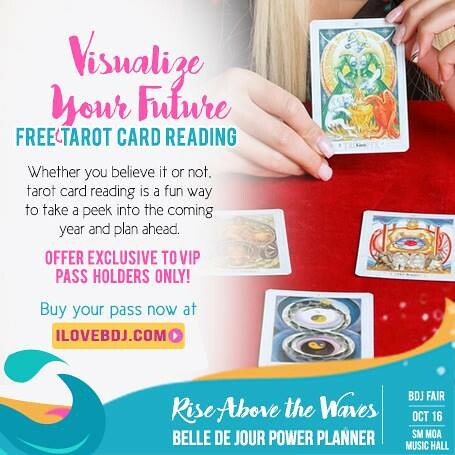 The Belle de Jour (BDJ) Power Planner is made especially for the Pinay fashionista achiever—the modern day renaissance woman who dares to achieve her goals, lives her dream life, and makes a difference in her community, while doing everything in great style. I can't believe how this community has grown! Now on its 11th year, BDJ team continues with the mission to make a difference in the lives of Filipinas by encouraging them to have an unshakeable trust in their hearts to overcome the waves of life and push themselves forward—without fear, and without limitations. 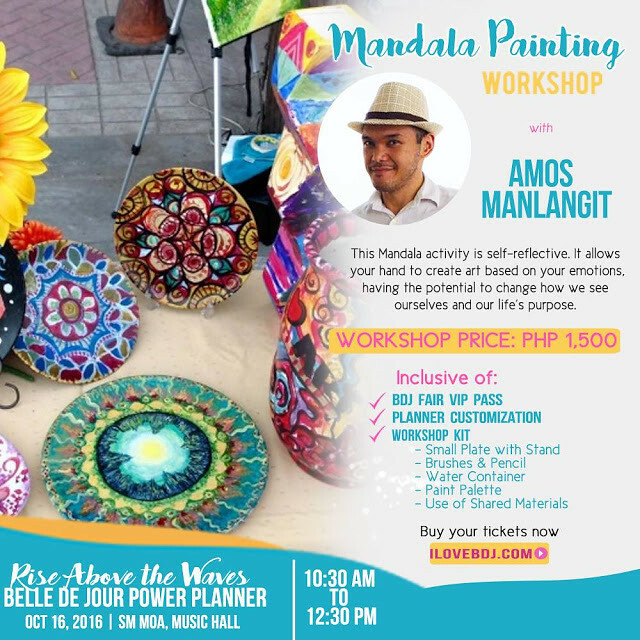 Avail of the VIP Pass for only Php 200! 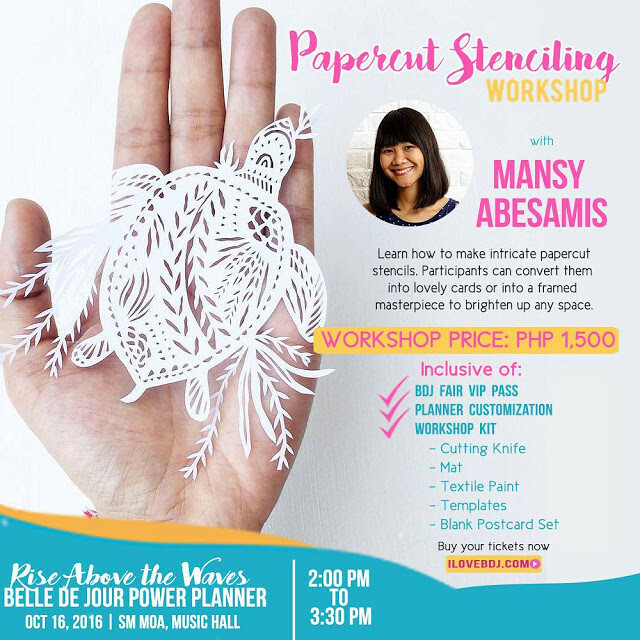 2 talks, planner customization, special activities and access to the fair! 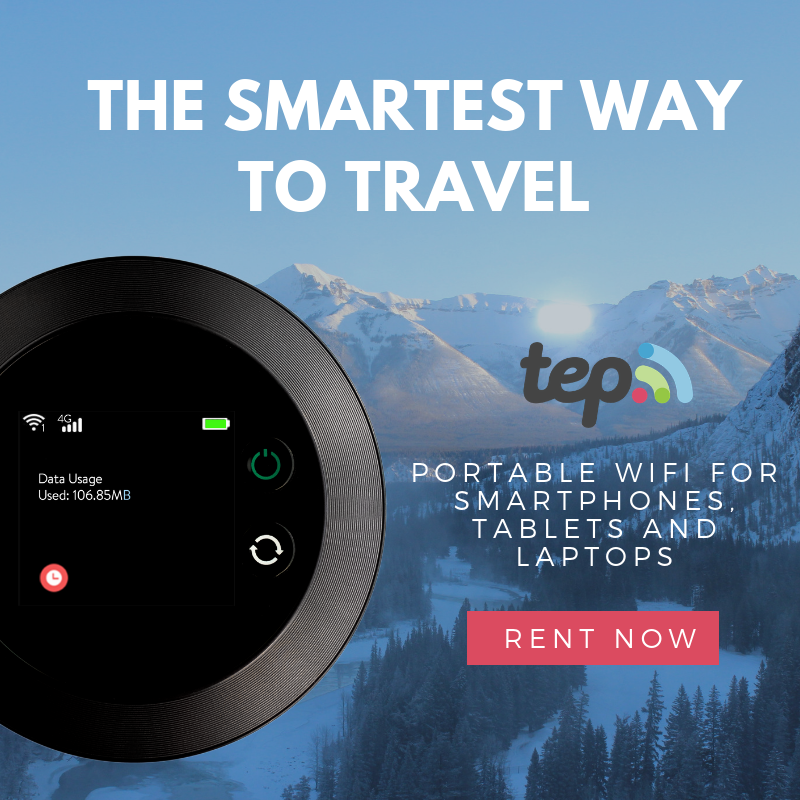 Just follow the steps on the rafflecopter! I will announce winners on October 12, 2016. Planner winner, please claim it at the Customization Area. 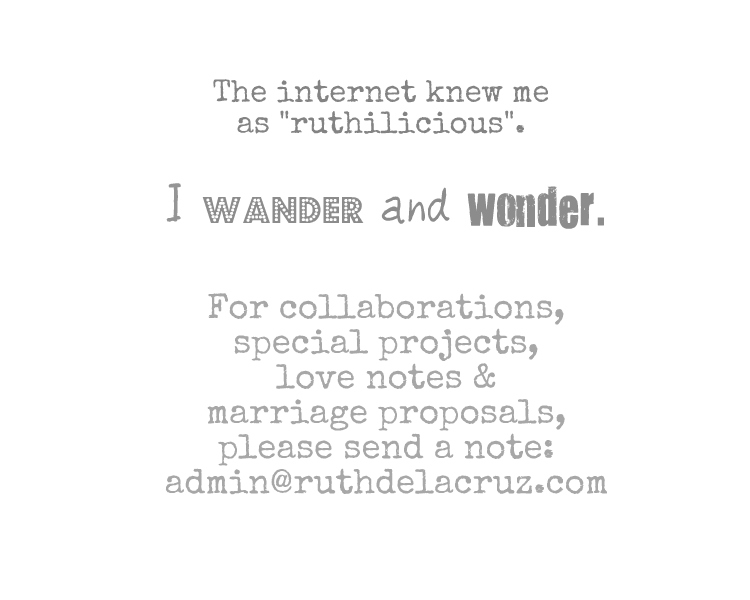 Subscribe to my blog and follow me @ruthilicious on Instagram and Twitter to get updated on this kind of event!